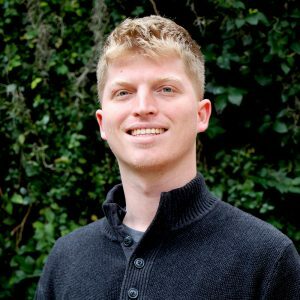 GAINESVILLE, Fla. – Senior history major Ian Tygar didn’t speak his first words until he was two or three years old. But when his sentences began to form, he often found himself stumbling over words and having trouble pronouncing things correctly. The Delray Beach native, even as a child, realized he was different. The official diagnosis was dyspraxia. Dyspraxia is a form of developmental coordination disorder that affects motor coordination and speech. Growing up, Tygar struggled with word pronunciation and feared public speaking. He recalls being taken out of class two days a week in elementary school to meet with his school’s speech therapist and work on his reading, writing, and pronunciation. He continued speech therapy to improve these skills until middle school. As a senior in high school, Tygar worked hard to keep up in his Advanced Placement courses. When he received his invitation to the PaCE program, he remembers feeling a mixture of happiness and excitement upon realizing that he was given an opportunity to attend UF, something he had always dreamed of. “It took a lot to get there,” Tygar said. In college, Tygar quickly realized the courses for his history major required a lot of reading. On average, he read a book and a half a week for his classes, which he said was his biggest challenge. But looking back on his childhood where he struggled with linguistic skills, Tygar said he is proud of his accomplishment and how it has translated to his work ethic in the PaCE program. With online courses, Tygar said he learned to be diligent with deadlines and to be responsible for his own education. That discipline, combined with the perseverance he had developed as a child to overcome his dyspraxia, helped his transition to on-campus classes. Tygar’s next objective is to become an attorney. After graduation, Tygar will attend Florida International University’s College of Law to pursue a career as a public defense attorney. He fell in love with the field in high school when he served as a youth court attorney. 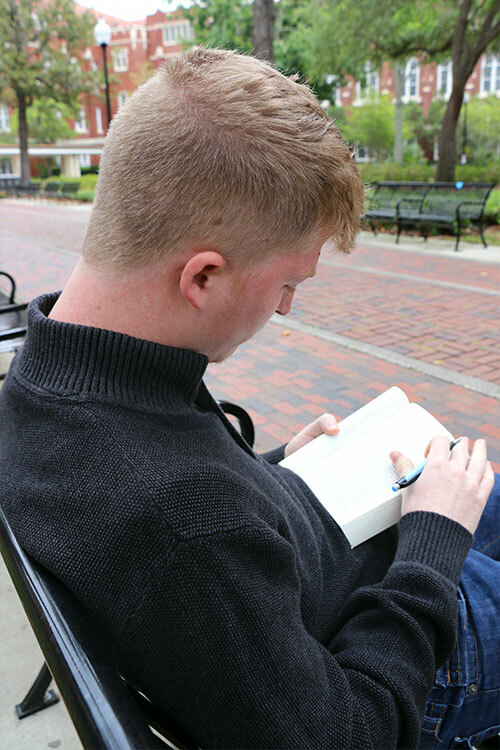 History major Ian Tygar overcame his dyspraxia to complete his reading-intensive coursework at UF. Soon, he will begin law school at FIU.